You and your sweetheart deserve to feel like rock stars on your wedding day. 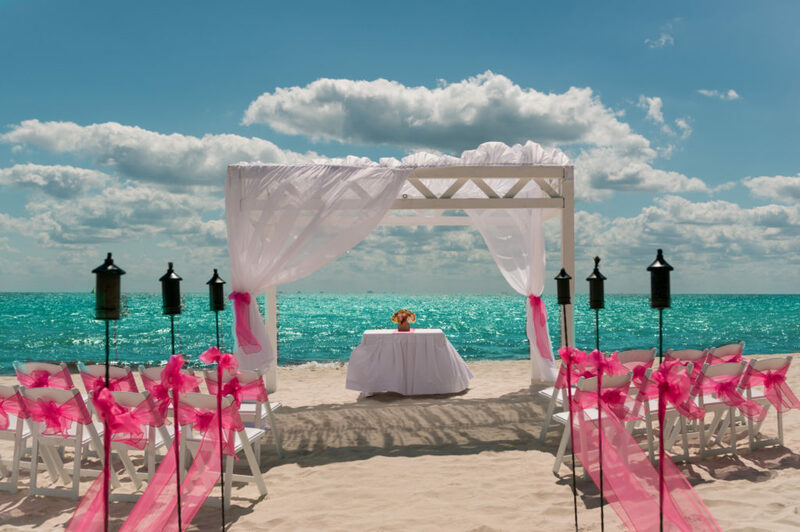 Event designer Colin Cowie brings all the glamour to your wedding at your favorite Hard Rock Resort in Mexico or the Dominican Republic for the event of a lifetime. The party planner of choice for a variety of A-list celebrities, he’s the perfect person to bring the rock star vibe to your big day. 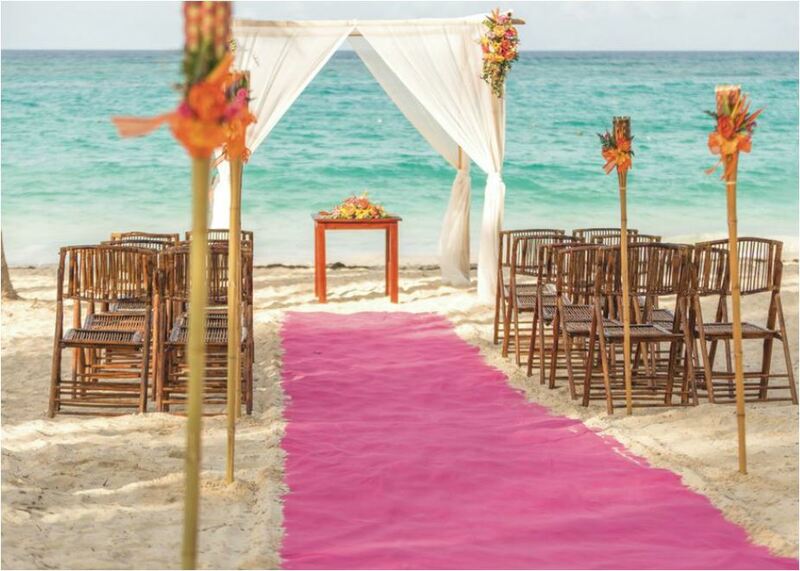 The white sand of the Barcelo Maya Beach & Caribe provides the perfect backdrop for your dream wedding. 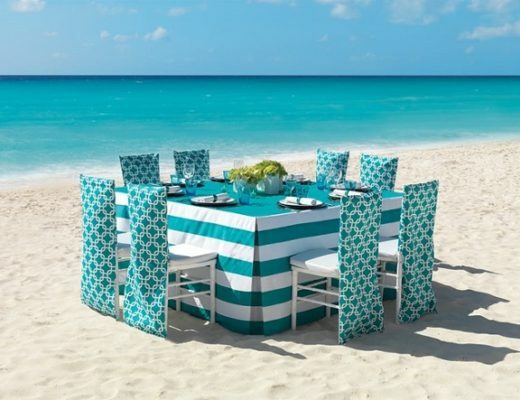 Romance is always in style at this popular beach resort. 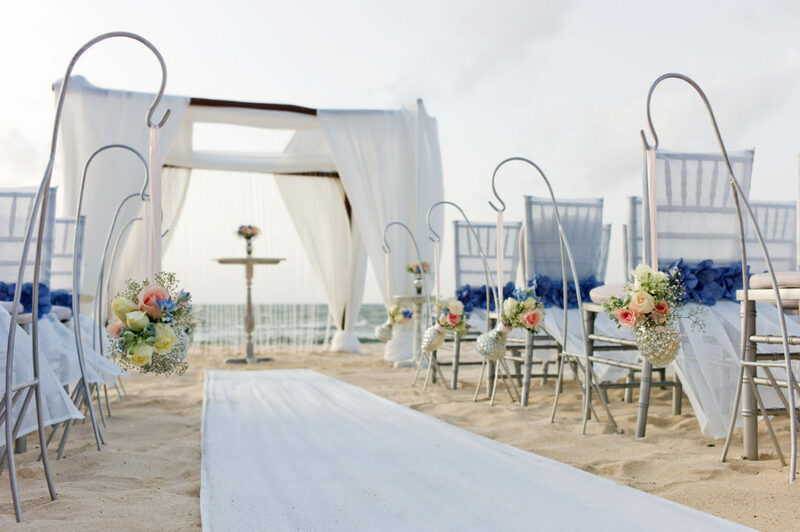 Say “I do” in a memorable ceremony, followed by the ultimate party on the beach. 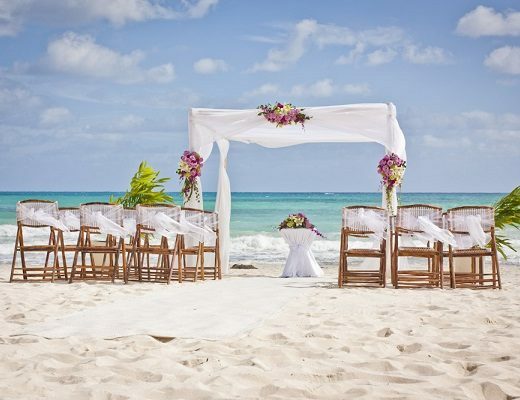 There’s no need to feel stressed by the prospect of planning a destination wedding. Karisma’s team can take care of every detail, ensuring that you only remember the beauty of your big day, and not the anxiety of planning. Your Gourmet Inclusive event will feature gorgeous scenery, premium beverages, gourmet cuisine and countless memories. 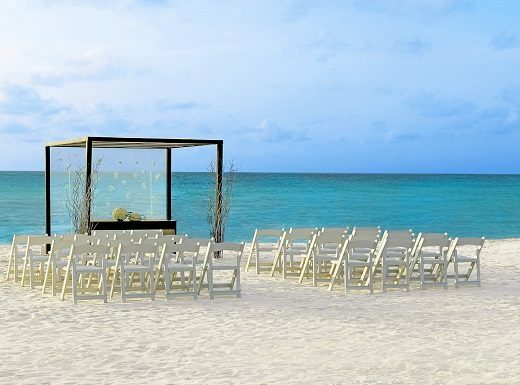 Whether you’re planning a civil or symbolic wedding (or vow renewal), you can do it up in style at Riu Palace Aruba. This resort offers wedding packages for every budget. 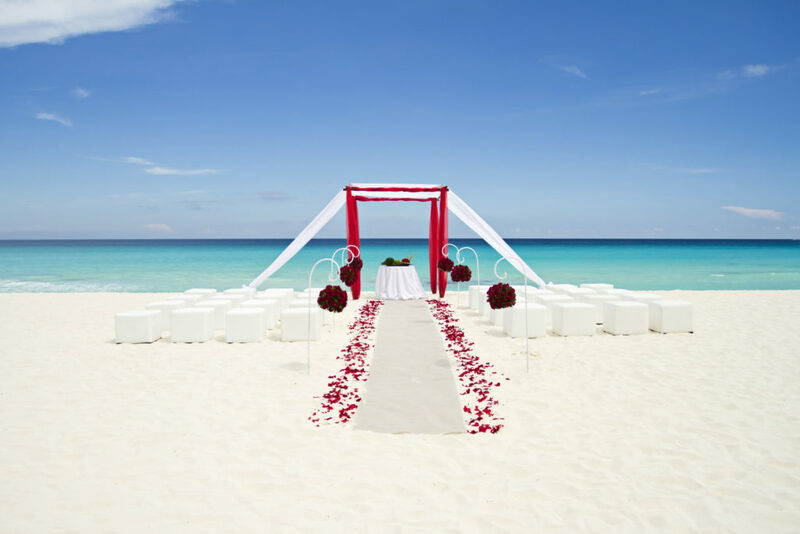 Your wedding coordinator will attend to all the details so you can focus on saying your vows and begin married life on this beautiful island. Check out Marisa & Suresh’s wedding at this beautiful resort! Live the high life at this gorgeous Cancun resort. 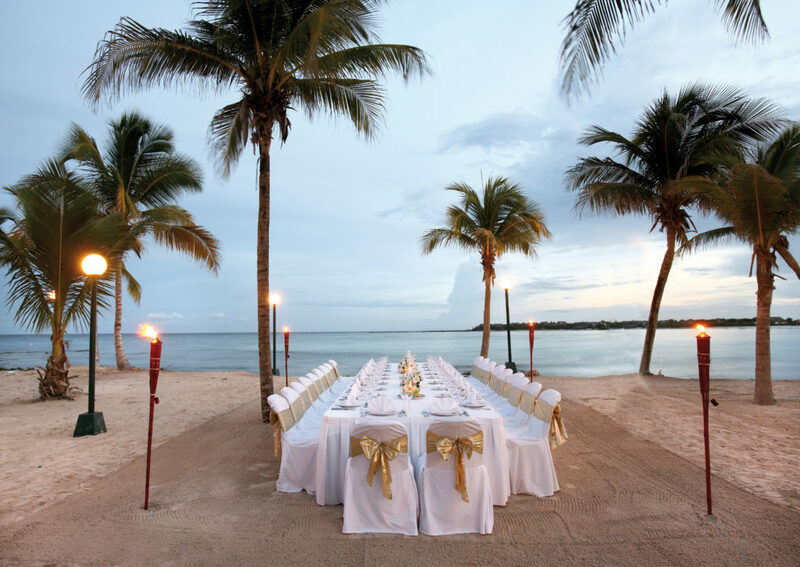 A variety of ceremony and reception venues grant you and your loved ones unforgettable views of the ocean. Choose from a variety of luxury wedding packages, including rooftop nuptials, penthouse celebrations and intimate ceremonies right on the beach. 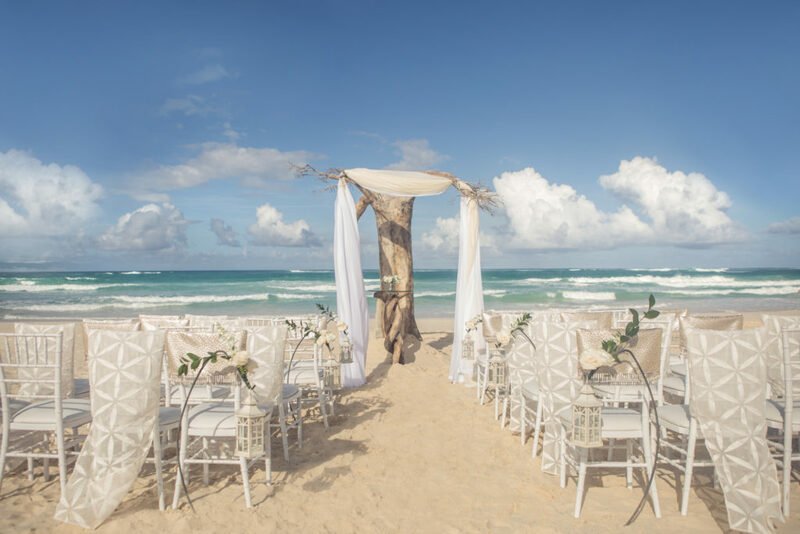 A top event planner for Palladium’s Jamaica, Punta Cana, Riviera Maya and Riviera Nayarit locations, Karen Bussen offers full personalization and some of the best beach wedding packages. She does the hard work of planning, but always grants couples the final say. A wonderful setting for an adults-only affair, Ocean Maya Royale brings unmatched style and sophistication to your big day. You can count on your wedding planner to facilitate an event that perfectly reflects your priorities and personality. Wedding packages include flower baskets, romantic starlit dinners and assistance with every aspect of your ceremony and reception. There’s no such thing as easy wedding planning, unless you leave all the details to a talented coordinator. Take advantage of the destination wedding packages highlighted above, and you can begin married life feeling completely relaxed and at ease. 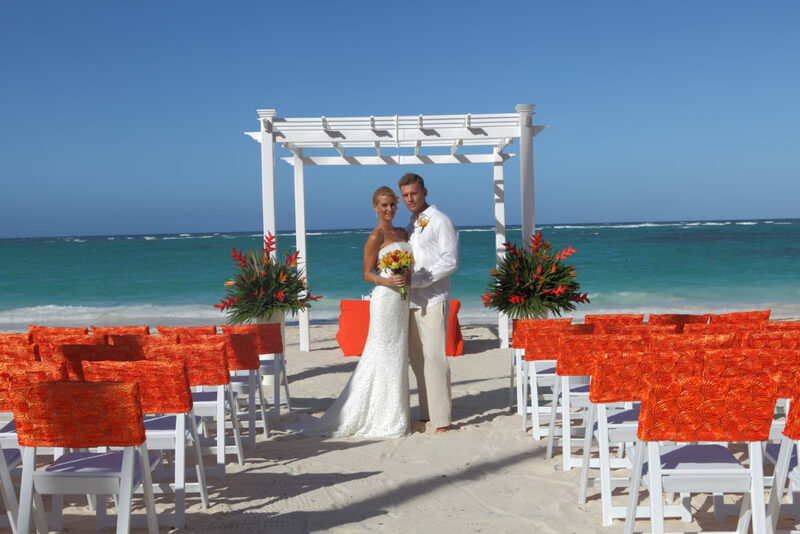 You’ll never regret saying “I do” during an all-inclusive destination wedding! For more destination wedding inspiration, visit our website and Pinterest!